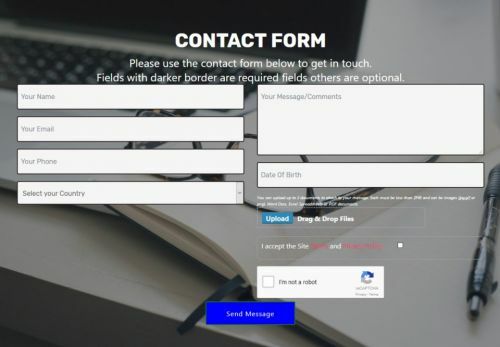 ULTIMATE XL PRO ADVANCED CONTACT FORM with reCaptcha2 EXTENSION with PHP FormMailfor Mobirise* sites. If you already have the previous version and would like this new version please contact me. NEW - Easily create booking,reservation,membership application forms and much more in additional to standard forms.